It’s an exciting year for the world of social development. Now, for the first time, advanced digital tools allow for in-depth and enhanced Monitoring and Evaluation (M&E) that not only tracks progress, but actually assesses long-term social impact and embraces community-driven project design. Moving beyond traditional anecdotal evidence, new M&E methodologies have created new possibilities when it comes to in-depth analysis of the outcomes of social investment programmes, giving us ways to deliver accurate statistical evidence. While M&E in its traditional sense has not fallen away, the latest models and digital tools entering the ecosystem now support everything from impact management and developmental evaluation, all the way through to impact investing, the emergence of outcomes-based social investment, and a focus on the sustainability of programme impact. Some of this is possible because of the rapid growth in the use of Big Data, open-source software platforms, user-friendly and integrated data collection platforms (using smartphone-based IT solutions), blockchain technology, cloud-based software, and software-as-a-service solutions. Together, these allow social enterprises to explore patterns of programme effect in both big picture and minute detail. This means we can start to predict – far more accurately – how and when programme impact will occur, changing how we make programme decisions. In the world of data we’re living in, it’s all about real-time assessment and greater evidence-based decision-making in a programme implementation setting. Because next generation tools support the concept of impact management, it’s becoming possible to proactively manage programmes by continuously monitoring and making sense of data and how it relates to the overall objective of funding. This means that we can frame impact within a far shorter period, with a new understanding of the levers and mechanisms that unlock it. This supports real-time decision-making and iterative programme improvements on the fly, ensuring that programmes align with the dynamic needs of communities. 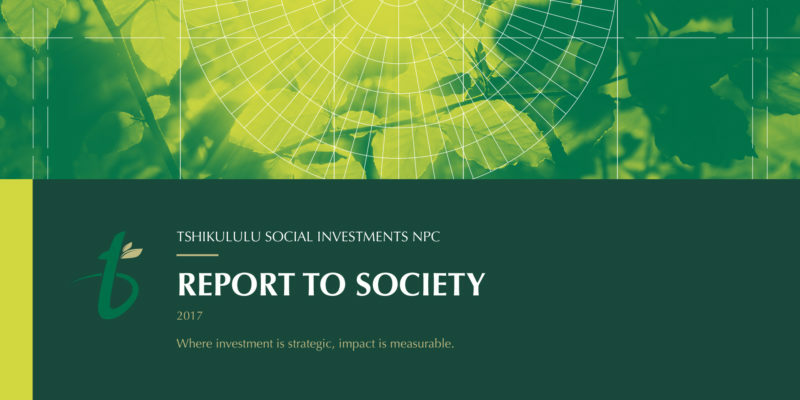 What makes impact investing even more exciting development is that the “user” (programme participant) becomes a key player when it comes to designing interventions. This shift from seeing participants as “beneficiaries” to seeing them as “users, participants and creators”, will change the potential impact of social interventions in the future; challenging how we currently think about and design programmes. As Tshikululu, we’re committed to continuing to work with all of our project stakeholders to leverage M&E as a strategic enabler. With a strong M&E focus, strategic investment that delivers real and measurable change becomes a programme reality, bringing us closer – investment by investment – to the betterment of our country and our people.